Creating a modal is easier than ever with the AmeriCommerce online store V3 themes. NOTE: V3 themes are any of the default responsive themes on the AmeriCommerce online store platform. If your site changes the display based on the browser width, and you're using a stock theme from AmeriCommerce, then you are most likely on a V3 theme. The "quick-view" class needs to be added into the element that you want the customer to click on. The item needs a data-href attribute, pointed to the page you want to show in a modal. Note: This will only work for pages on the same domain. It's not possible to link an external site into a modal in this manner. This is optional, but sets the title on the modal itself. If you had a schematic drawing uploaded on the storefront, you could load this in a modal window with the above syntax. The data-href attribute would need to be updated to the correct path. 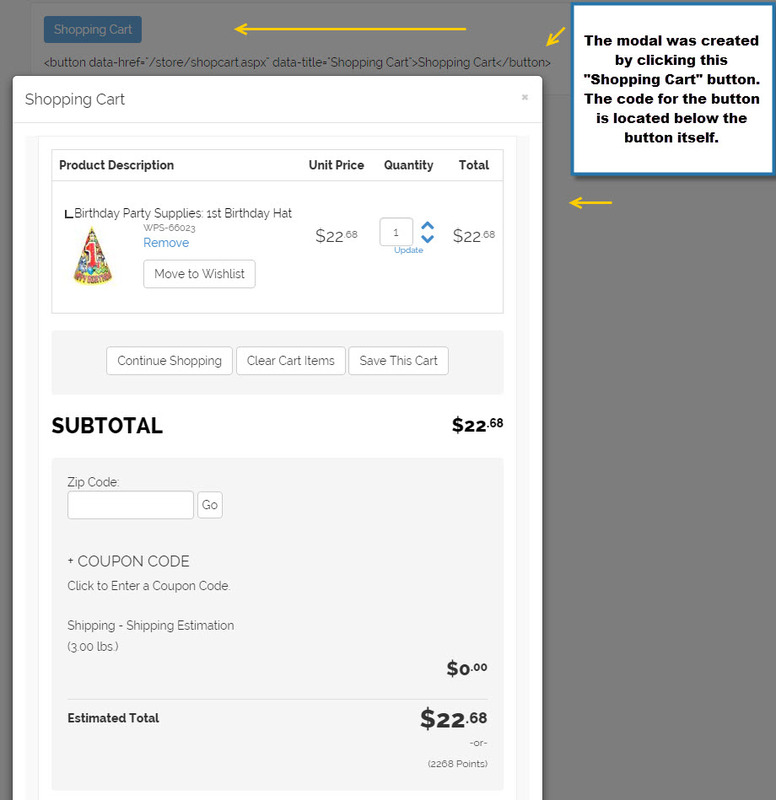 This would be a way you can load the entire shopping cart page in a modal. As you can see, it is relatively easy to use the modal functionality for the AmeriCommerce online stores platform.